Out of the box the TangPo was very scratchy and quite fast. After a bit of heavy lube it became much more controllable. This cube is very nice with fitted stickers covering almost the whole piece. It is a good upgrade form the previous 2x2 from MoYu with this one feeling much more solid in the hands and much better performance. This is the DaYan killer. 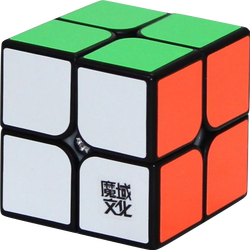 There will be those die-hard fans of DaYan, but this cube is faster, corner cuts just as well, rarely locks, doesn't corner twist, and most of all does not pop. If you are looking to get a 2x2 there is no reason to get anything but this.